The Group Singing Songbook. Composed by Various. Edited by Peter Blood & Annie Patterson. Vocal. Spiral Bound. Folk. Songbook. 290 pages. Published by Hal Leonard (HL.740330). ISBN 1881322122. 7x10 inches. Edited by Peter Blood & Annie Patterson. 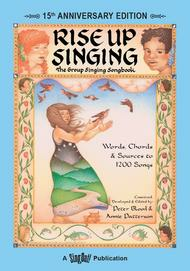 If you like to sing with friends, this is the book you've always wanted. Most people know the tunes to hundreds of songs, but know the words to only a few. 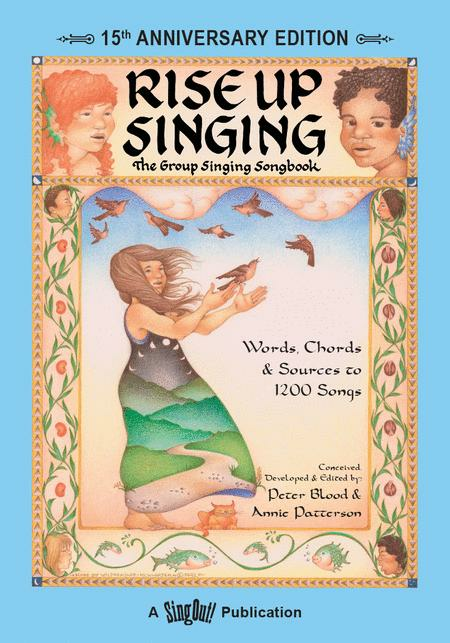 At camp or school, church or union hall, by campfire or in your own living room, you will never run out of songs to sing with this book. Songs are quick and easy to locate: they appear in alphabetical order within chapter groupings like lullabies, love songs, sea songs, and spirituals. From ballads to Beatles, Bob Dylan to Broadway, here are the words, all in one place, to the songs you've loved in the past - with many more to learn from friends in the future. How Can a Poor Man Stand Such Times and Live? I Still Miss Someone Performed by Johnny Cash & Roy Cash, Jr.
Jesus Won't You Come By Here? Plaisir d'Amour Performed by Jean Paul Martini Il Tedesco 17th C.
Spanish is the Living Tongue Performed by Charles Badger Clark, Jr.
also good for seeing which songs you want to learn. Artists who have recorded the song are listed, as well as music books containing the song. An outstanding collection of song lyrics and chords. A large-print version is available. Wonderful songs, but I DO SO wish there was a melody line for each song. One can not learn a new song with just the chords! 23 of 37 people found this review helpful.